Last week I went to a baby shower for a friend of mine. It was a lovely shower held outside on a beautiful sunny day. It was one of those days when the sky is so blue that it looks like you could just reach out and touch it. For all of my friends in the north, do your best to remember one of those days. Anyway, it was just a great day and we were all enjoying being together. Just adults. No children. I don't ever see these ladies without their little ones so it was like seeing a different side of them. We were doing the normal shower things; oohing and ahhing over pretty pink things, discussing the benefits of organic diapers, eating, and laughing alot. Somewhere in the midst of all of this, I was caught by an overwhelming feeling of gratitude for this group of friends. Being my introverted self, I was just looking around and I was struck by the strength of each one of these women. I felt honored to be in their company. The mother-to-be is currently undergoing treatment for cancer. She could be very bitter that a time that should be so happy is, instead, so uncertain. She isn't though. Peace radiates from her beautiful smile. My dear friend, Sumi, was there. 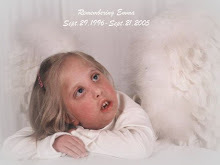 Her precious little girl, Jenna, went to Heaven just two months ago. I watched Sumi as she focused herself on celebrating this new life while, in her heart, she must have been feeling her loss so greatly. Another friend is dealing with the adjustment of taking care of a sick and needy mother-in-law who has moved in to her home. Yet another has dealt with some medical issues with one her children this year. Others are struggling financially. So many overwhelming circumstances were represented at that small gathering of women. Yet we were able to enjoy each other and recognize that life is still a gift. We are all walking down paths that we would have never chosen, but we are walking them together and with grace. I felt so proud to be in their presence that day and so grateful to be one of them. The world has such a distorted view of what "woman power" is. I experienced true "woman power" last Sunday. There is no greater power than that of allowing God to carry you when you can't take another step on your own. There is nothing more powerful than lifting your hands in praise when you are in the middle of a storm. I am reminded over and over that we create a family, wherever we are, by nurturing the relationships with the people God brings into our lives. I struggled so much with moving to Florida. I still experience homesickness. I am learning, though, that what I am missing is not a place, but a time, and I can never go back to that time. Instead, I can focus on this wonderful family God has given me right now and right here. I am so blessed. You have such an amazing way to express yourself so eloquently. I truly enjoy every post of yours and rarely finish reading a post without shedding tears (in a good way). It has been a couple weeks since our last e-mail…how’s it going? I am honored to be mentioned in this post! Sorry I have been so quiet lately. Would it be difficult for you to go to Jenna's grave with me? I practically drive past your house on the way there. If you'd rather not, I can pop in one day on my way to or from the cemetary, or we can meet for tea somewhere nearby. I don't go to visit Jenna often, but I will let you know next time I do.